I arrived at the farm this morning to see something bigger than any cow I owned, standing near the corral. 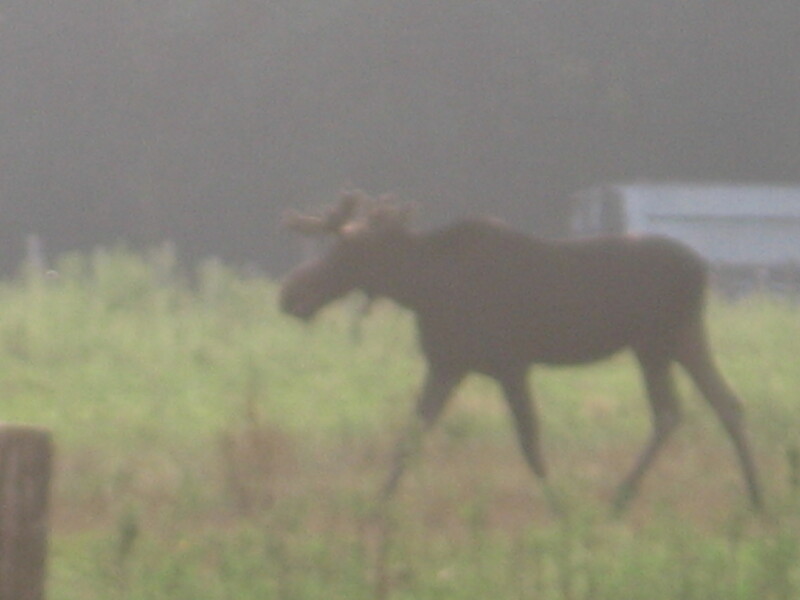 To my utter delight, it was this bull moose. He seemed a little bewildered by the pigs snorting and squealing, but did not seem to be bothered by anything else until the cows approached him. He finally made his way down to the river and hopped the fence. It is a good sign to have an abundance and diversity of wildlife on the farm. This shows that the environment is a healthy one. All the species play a vital role in maintaining a balance and every creature seems to have a role to play, from the foxes who catch and eat rodents to the ground hog who digs tunnels and aerates the soil in the process.